ERLAN ABDYLDAYEV, Minister for Foreign Affairs of Kyrgyzstan, said water was at the core of his country’s development, and yet remained its most scarce resource. Global warming had shrunk Kyrgyzstan’s glaciers by 30 per cent, and according to forecasts, all glaciers in the country would melt by the year 2100, unless something was urgently done. The melting waters were the primary source of rivers in Central Asia, and the international community must continue to assist in addressing that problem. Stressing the importance of developing hydro-energy through the construction of large hydroelectric power facilities, he said the hydroelectric power of upstream countries was a low-carbon development. Mountains comprised more than 90 per cent of Kyrgyzstan’s territory, and like other mountainous landlocked countries, it had special development needs, he said. 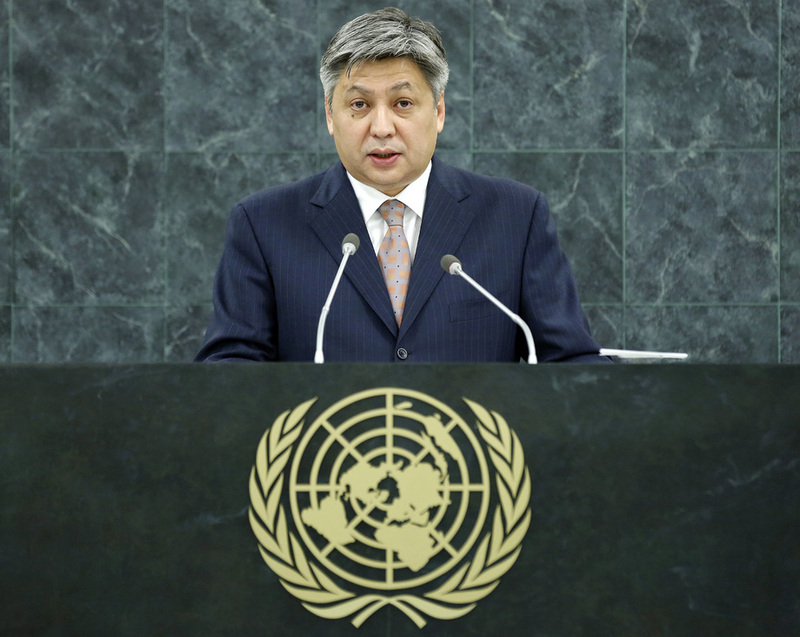 Kyrgyzstan supported mountain development, in accordance with the goals outlined at Rio+20. Mountainous regions faced high levels of poverty, isolation, transportation costs and a large amount of debt. Such special needs and challenges must be reflected in the post-2015 development agenda, he stressed. The valuable ecosystem and wildlife only found in mountains must be conserved and protected, he said, outlining the relevant 10‑year national strategy for doing so. Afghanistan’s drug production, the highest in the world, was the source of a full range of threats, endangering the stability and security of Eurasia, he said. Afghanistan must be involved in developing regional cooperation and implementing various initiatives, including the export of electricity and the creation of road and railroad communications. On Syria, he called upon both sides of the conflict immediately to cease hostilities and resolve the crisis through dialogue under United Nations mediation. Kyrgyzstan supported the initiative to transfer Syria’s chemical weapons arsenal under international supervision, he added.